City of Williams Eggs-trordinary Easter Egg Hunt! pictures with the Easter Bunny and Refreshments! Bring your basket for you egg hunt. Visit the Bunny Garden in Center Court and snap a photo with the Easter Bunny! A variety of photo packages and accessories are available for purchase to commemorate the experience. Hippity-Hoppity! 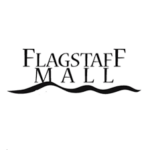 The Easter Bunny returns to Center Court at Flagstaff Mall for visits and photos with children of all ages. The Easter Bunny is available 11am – 7pm Monday through Saturday and noon – 6pm Sunday, April 8-15. A variety of photo packages are available for purchase.